Elly and Erik were such a fun couple to hang out with. They were outgoing, funny and super easy-going. We had such a great time shooting with them over at Europa Village. 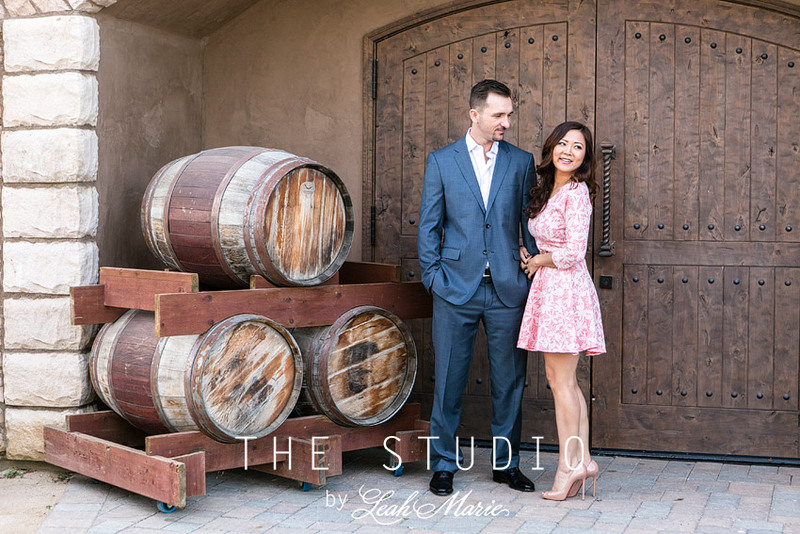 Europa Village is the perfect winery for portraits because there are so many great spots to use!! Afterwards we headed over to the lemon groves to grab a few more portraits of the two of them. We love using two locations on all of our engagement sessions so that there it total variety with location, outfits and feel of the images. Thank you all so much for having us share in your special day!! We are stoked to be a part of your wedding day!! !